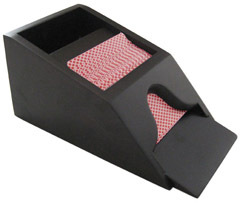 【Remark】 2 Deck Capacity Automatic Card Shuffler. licensing shoes can install cheat device. If you use the device,it will be let you know what playing crads points inside the Licensing shoes. A prism is a gaff that is installed behind the face pate of the shoe, to facilitate peeking and second dealing. 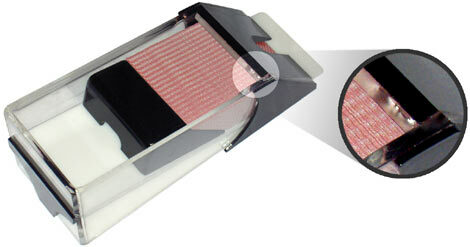 The dealer is able to slide the top card back into the prism contraption. When the top card is in upper position the dealer is able to peek at the index of the card. 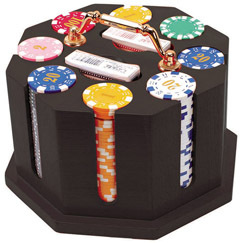 At that time the dealer can either deal the top card or keep the top card locked inside the prism while dealing the second card. The photo above features a dealing shoe that has been equipped with a prism. This particular prism, on the photo, has been frosted, so that the gaff is less obvious. However, we can make the prism in a high-polished gloss finish, as well. 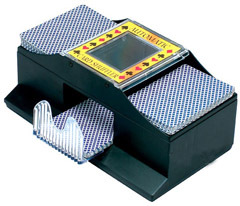 【Remark】 2 Deck Capacity Automatic Card Shuffler. 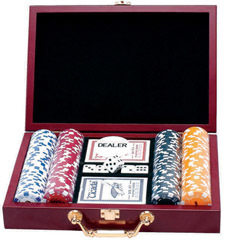 【Remark】This set is including 200 chips, a deck of two poker and five dice. The package is 8set/ctn and the size of the export carton is 42.5*38.5*29.5cm.The weight of each carton is 20kg. 【Remark】It is including 200p chips, 2 deck of pokers.The package is 6set/ctn.The export carton is 42.5*38.5*29.5cm.The weight is 28.5kg/ctn.